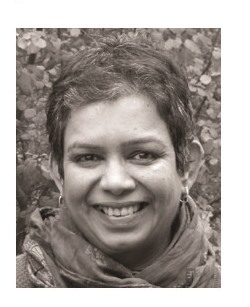 Nandita Godbole is an Atlanta-based entrepreneur, author, and founder of Curry Cravings. Her latest work, she tells Khabar, shows us how effortlessly food becomes part of our life and culture. Tell us about the genesis for Curry Cravings. When did it start and what was its mission? How has that mission evolved over time? I picked the name ‘Curry Cravings’ when I first started teaching Indian cooking in 2004 in Michigan. I chose the name because most people were (and still are) attracted to the idea of ‘curry’ but do not know that Indian food is so much more than what they find at their local ‘curry place’ as so many put it. Over fourteen years, my simple goal to change how people saw Indian food has become a brand with a mission: to shine light on the incredibly diverse offerings, gastronomical complexities and health benefits of Indian cuisine. What inspired you to write Ten Thousand Tongues? Explain the significance of the title. I wrote this novel first as a two-part collector’s title, as Not For You: ​Narratives of ​Denial and ​Comfort Foods, and then created one for mass readership title as Ten Thousand Tongues: ​Secrets of a ​Layered Kitchen, the novel with a companion cookbook of the same title. My late father was the true inspiration for this biographical fiction. A few days before his passing we had talked about his mother and her Jewish upbringing, the foods they would have eaten as part of his childhood in a Hindu Brahmin house. 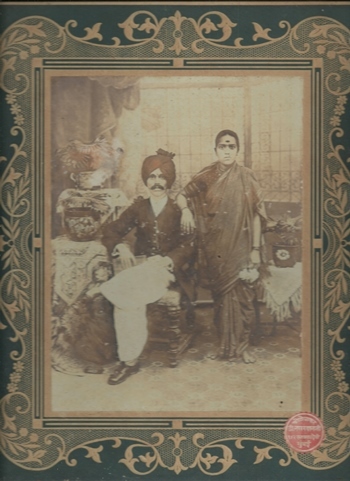 Religious, caste and class distinctions were acutely pronounced in the mid-20th century India, especially in rural communities. He had lamented his childhood was marred because narrow-minded communities would impose hurtful divides and discriminations. In his youth, his drive and tenacity to rise over such mind-sets gave him a holistic perspective, and throughout his life and career, he was often sought out first as a peacemaker. I reflected that his rough childhood never made him bitter, instead he lived a remarkably humble and forgiving life. But his stories were untold. Upon his passing, I reflected on the many lessons he shared. 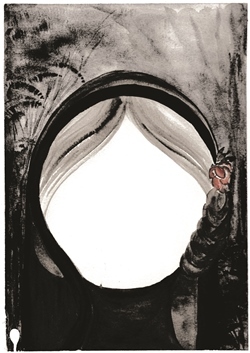 I learned about the many women who surrounded him who had played a major role in his perspectives on life: the sufferings of his mother, care of his paternal aunt, the loyal guardianship of a kindly mute girl, and in his long stress-filled career and later debilitating illness, the constant unflinching partnership with my mother. These strong women emerged, shining across the narratives I wrote, and the novel expanded to include their stories. In time, this became a larger novel about the many women in our family. Although most were homemakers, they became harbingers of quiet and subtle changes, rising above expectations with grit, perseverance and a single-minded passion to be recognized as equals. 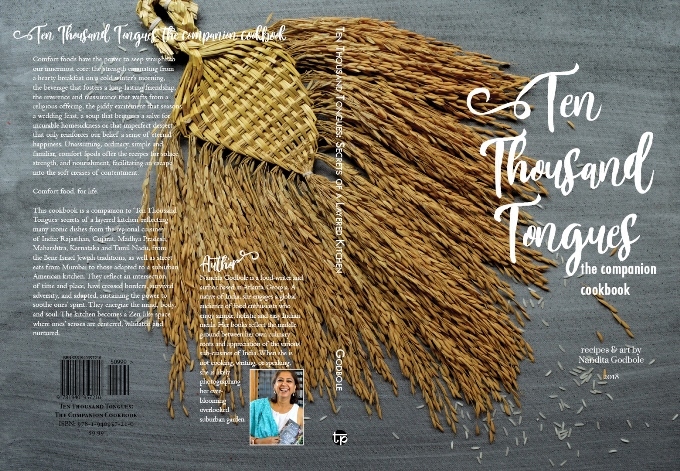 The phrase ‘Ten Thousand Tongues’ comes from a chapter title about Ana’s personal dilemma. But it is also a play on words where ‘tongue’ can mean gossip, taste in food and lifestyle, cultural preferences, a range of biases, and more simply, grammar and language barriers that influence society. Of all our differences, I believe that food can represent a global unifier. As a food writer, I often see personal biases mar the appreciation of the many food cultures around us. These biases often have deeper roots, stemming from unspoken biases and ‘-isms’ towards the cultures themselves. We constantly tackle opinions, and in turn create needless hurdles—barriers that keep us from being our best selves. What can we do to change that? In this day of instant gratification, we are more inclined to take ordinary things for granted. 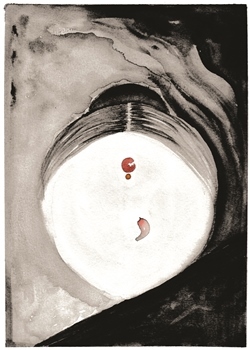 My ‘mantra’ touches upon three essential things—care of community, self and loved ones. Time and care are our most precious gifts, and keeping them at the forefront of our interactions with everyone makes for richer lives. 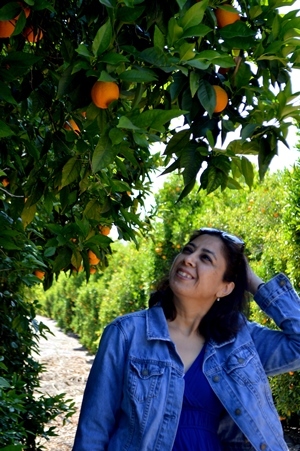 In my novel, I write about very ordinary life events that shaped the women. Each is a part of a chain reaction, a fork in the road, a choice. People often brush away ordinary things and events as inconsequential, particularly in the Indian culture. I encountered it often when talking to elders as I researched the novel. Why must we recognize people or events only after major life events like marriages, births, deaths, fear or loss force us to shift perspective? My family and I try our best to find ways appreciate each other, sometimes by stopping everything, pausing, breathing to enjoy the moment, enjoy the companionship of each other. They may not be spectacular moments, just ordinary ones, but recognizing ordinary moments makes the spectacular ones even more special. One of the most striking aspects of the narrative is just how far and wide the characters slowly moved, shaped as they are by economic and geopolitical conditions. Do you see your current personal trajectory to mirror any of the ones your characters followed? Indeed—every shift caused a change. In many ways, this novel discusses why accepting change as being inevitable is necessary, and how such acceptance represents an important trigger to become the starting point of personal growth. Ana’s character is based on my own life. I was trained in other careers, but circumstances forced me to take control of my life-path. If I had let naysayers reject my vision, or succumbed to the pressures to conform to social ‘expectations,’ I would not have crossed the many milestones I have. I take inspiration from these matriarchs each day. Persist and persevere. The most fascinating character in the novel to me was Aruni aka Pearl, who converted to Hinduism from Judaism. Her treatment in small towns reflects attitudes towards the “other” we see so frequently everywhere around the world. Did you cast her based on a specific person or experience? The novel includes stories based on the lives of real men and women from my family, who may not have done any ‘heroic’ actions by conventional standards, but their moral compass guided their actions. 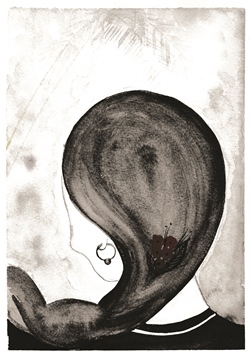 Aruni/Pearl’s character was based on my paternal grandmother’s life, she fascinates many. 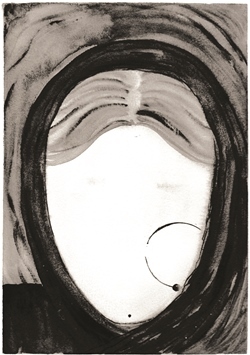 Most people are drawn to her because of her place in society: in life and death. Some see her as a classic heroine, a demure woman of very few words. I am captivated by the life stories that shaped each matriarch’s portrayal and their awe-inspiring persistence. I grateful to learn about and share their narratives, the cumulative sacrifices of several generations of women for the sake of generations they had not birthed. I am mesmerized by their naïve confidence, often wondering what would have happened if they had not made those choices: the teenager who escaped religious fanatics, the women who followed their heart, their not-so-ordinary stories have become family legends. They were all once ‘othered.’ Yet, they endured, persisted and in some ways, I feel that being able to tell their stories honors their sacrifices. Why did you decide to tell the story through a cast of women’s experiences? Over the ages, many women are led to believe that their place is only in a supporting cast, utilitarian, at best. Even though they play an important role in the successes of their family members, they are seldom recognized. Many are relegated to being wives and mothers, as though those roles/titles are sufficient. As Sumati is reminded, ‘“The soul of a woman resides in her husband.” This belief stifles the possibility of a partnership that is marriage, even to this day. Even in recent times, women without conventional careers by choice or circumstance are often forgotten in the family narratives. In this day, I believe no community narrative weaker than one that ignores equality, not only in terms of rights and access but also with regards to recognition. 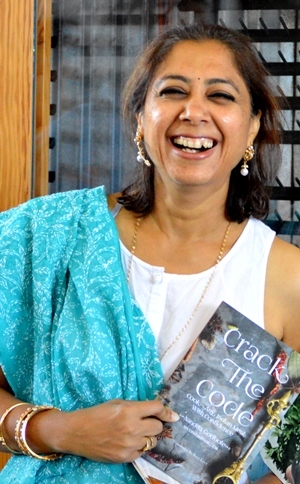 When I started shaping the narrative, those untold stories of women spoke louder than those of their decorated counterparts, as they are part of a patriarchal society. In some ways, they guided me. I wrote to showcase their quiet strength and unfailing resilience, the feats they were able to achieve as ‘ordinary’ women, giving themselves the permission to challenge the cultural norm. They represent the quiet storms not to be taken for granted. The cookbook that complements the novel is full of basic comfort foods and it made me realize that many Indians might not have eaten these Marathi (and Gujarati) classics. What, do you believe, is the role of comfort food in our lives? Our relationship with food is just like our relationship with our one true love: perfect when all the pretense is eliminated, enduring the tests of time. That is what makes it classic. With the rise of talented celebrity chefs, it is easy to ignore classic dishes—the very flavors that shape life, the ones that are in fact the blueprint for the pretty plates. As migration is ever more common, every generation has a tendency for collective memory-loss or cultural erosion. Rather than getting up in arms at cultural appropriation after the fact, I believe that culture that begin to value and recognize their cultural and culinary heritage become resilient. Look at other countries and what they have done for their cuisine: we can name the 30 different kinds of pasta from various regions in Italy and their comparable sauces but we cannot name 30 kinds of Indian breads. We have got to stop seeking approval from other cultures for our own treasures, especially when it comes to comfort foods. That is why I included a starter set of recipes that go back to the basics. They are simple, and had sustained a nation for centuries. How many people who have any cultural connection to India have eaten these? There is a wave of traditional food-appreciation with local markets in the US carrying traditional grains, and articles in the newspapers talking about ‘old-fashioned’ foods, but other than our grandmas, do we know how to cook these foods? I have deliberately written the novel to shows off how effortlessly food becomes part of our life, it is part of culture. There is no life situation where companionship with another happens without food.Comfort foods provide the soundtrack to precious moments in life—in their absence, those are the ones we miss the most, the ones we truly crave. If I am being pampered by my mom, I will eat anything she has cooked. I am a mood-based eater and indulge based on available time. In times of happy companionship, it means a cake, like a home-made chocolate log covered in whipped cream. In times of quiet reflection, it means a bowl of hot creamy soup: chicken and wild mushroom is one of my favorites. If I am short on time, and need a quick pick-me-up, regardless of the mood, it has to be a good cup of my masala cha. The most fascinating ones to write were Johari ba and Shanta. Knowing that their difficult split-second life decisions changed the path of their life, without which the rest of the story would never have happened has kept me up many nights. 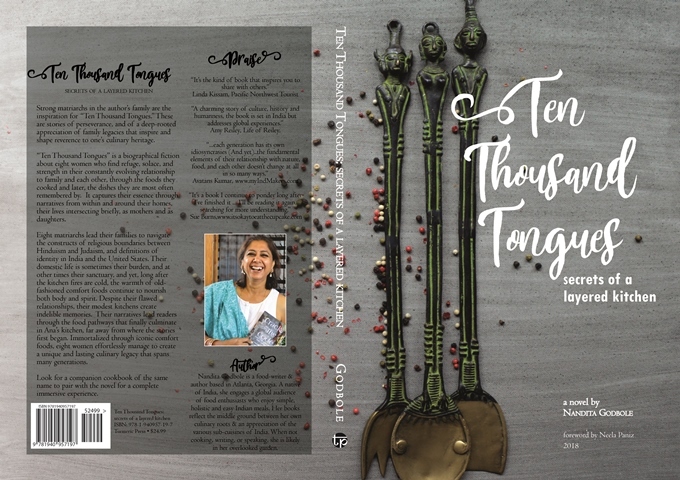 Ten Thousand Tongues is a bitter-sweet story inspired by real people and events, about tackling biases and discrimination, about how actions shape futures, a narrative about confidence and perseverance, about the relationships between risk and success, and the importance of family and food. Whether we like it or not, we are part of each other’s narratives. We can grow by sharing, respecting, and appreciating simple contributions: be it care, or in foods we bring to the table. One reader told me that she planned to re-read this book just so she could appreciate the narrative, reflect on her place in her family, understand her place of privilege, and respect the gifts that others brought into her life. This novel is best savored slowly. I believe that readers who will enjoy the book the most are the ones who shape their own experiences and reflections as they read. Perhaps they can cook from some of the recipes in the companion cookbook, to follow the daily life of these women. Alternately they can cook ones similar to those dishes from their own family kitchens. Perhaps it will help them see the important ways people have shaped their lives. Perhaps it will encourage them to reflect: what would they do in a particular situation? A dish, an ingredient, a technique: all trigger a nostalgia and a connection to people and places that is truly one’s own. I expect that some readers will even head to their nearest computer to start documenting their own stories, for these are our most precious legacies.